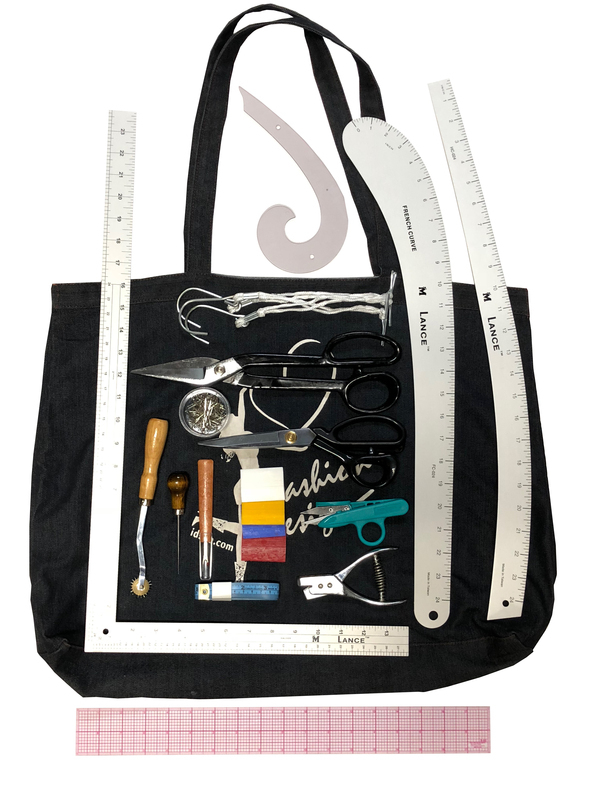 SP1- Fashion Designers Package, Complete set of rulers, scissors and pattern making tools for professional pattern makers. Complete package for every fashion student or pattern making enthusiast. Lance LS-024 L-Square 24" X 14"
Fantastic kit. I was surprised at the quality of everything. Bag is nice and big and well made. I'm so happy I found this and bought it. Love the way I have everything in one place. I have a bad habit of lossing and misplacing items. Everyone who sews should have this set. I love it!!!!!!!!!!!! all my clas mates are really envy of me, i love especially the denim bag, it simply carries all your tools with ease, and my notch tool was not notching properly, but except for that every other tool that came with my supplies was PURFECT! This is the kit most colleges and fashion institute require for fashion design classes in the U.S.